We’re working to protect marine biodiversity, and our focus is on those parts of the ocean most quickly impacted by society: highly threatened coastal habitats and coral reefs. More than 70 percent of our Earth’s surface is covered by water, yet we currently have limited knowledge about our oceans, which are crucial to our survival, and the diversity of habitats and species they support. 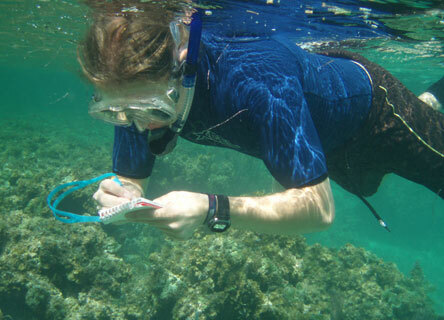 Earthwatch research focuses on coastal habitats such as mangrove forests and coral reefs, which represent the most productive regions of the oceans. They remain highly threatened from overharvesting of fish stocks, commercial shipping, pollution, and coastal development. The challenges to supporting a sustainable marine environment are in many cases different from those to supporting terrestrial environments. The majestic leatherback sea turtle is a creature of superlatives. Weighing up to a ton, it’s the world’s largest turtle. Earthwatch volunteers are helping to save this species in the Atlantic and Pacific Oceans. Why have Pacific leatherback sea turtles almost disappeared? 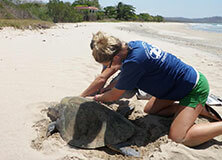 Look for answers and solutions on Costa Rica’s beaches. 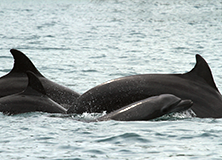 Climb aboard a motorboat and sail a tropical “inner sea” in search of endangered dolphins and whales in Costa Rica. 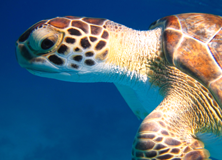 Where do endangered sea turtles thrive? Help scientists find out and protect these critical habitats. 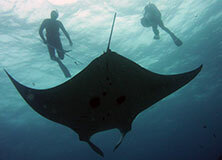 Scuba dive in search of critical information about the gigantic, threatened manta ray. You are currently on our Earthwatch U.S. website. If you are interested in learning more about our expeditions and seeing contribution costs listed in Pounds and Euros, please close this dialog box. To visit our new Earthwatch Europe website, click the button below.